Faye G!!! She was the winner who was randomly chosen on the Giveaway Tools widget. Last year, I was lucky enough to be able to try out the GreensPlus product line. You can see my first review HERE. I love their green powders. The powders are loaded with superfood ingredients like RAW green foods (barley grass, wheat grass, alfalfa grass, oat grass, dandelion leaf), sea vegetables (spirilina, chlorella & 2 others), superfruit, plus probiotics. You can mix them with water and drink them or add them to your favorite juice or smoothie. The GreensPlus Superfood Raw powder is equivalent to 4 servings of fruits and vegetables. They have several types of bars including +PlusBar Energy Chocolate, +PlusBar Energy Natural, +PlusBar Chia Chocolate, +PlusBar Chia Natural, +PlusBar Protein Chocolate, +PlusBar Protein Natural, +PlusBar Protein Whey Crisp, +PlusBar Chocolate Peanut Butter Chia Crisp, +PlusBar Blueberry Almond Chia Crisp, +PlusBar Coffee Almond Chia Crisp and +PlusBar Superfood Chia Crisp. You can find +GreensPlus Products near you at this link: Find Us! The stores include Whole Foods, Trader Joe's, Vitamin Shoppe, Safeway and Publix. You can also find them online at Vitacost and Amazon. Now, GreensPlus and Celebrate Woman Today are giving us the opportunity to host a giveaway! The Giveaway is open 2/16 - 2/24 at 11:59 PM EST. You can enter for your chance to win on the Giveaway Tools Widget below. Good Luck!!! and Thank you for stopping by and entering! We love both bars and powders for our drinks, shakes, and even baking! Greens Plus is one of the rare companies who does it with integrity of ingredients and formulas. I would love to try the chocolate protein plus bars; yum! I want to try the Advanced Multi Raw Superfood to add to my protein shakes. I am good about getting my raw protein, but not so good about getting my raw greens and superfoods. I would love to try the +PlusBar Chia Chocolate. I would like to try the bars. I want to try the PlusBar Protein Chocolate. Would love to try Wild Berry SuperFood powder! I'd like to try the Advanced Multi Raw powder. I'm happy it's dairy-free! I would love to try the +PlusBar Blueberry Almond Chia Crisp! 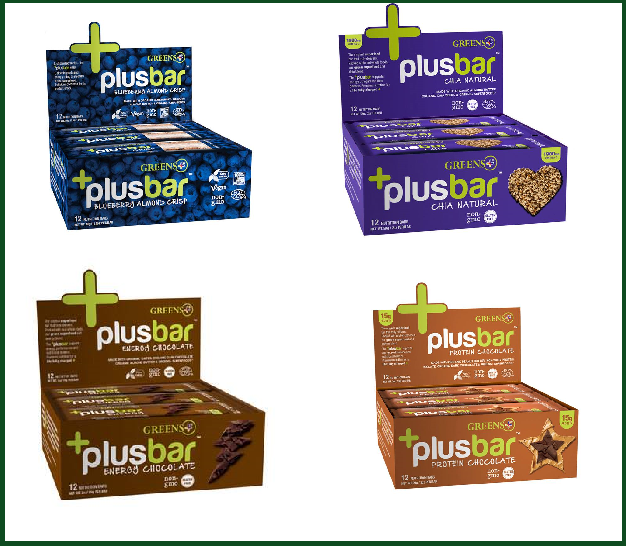 I would be happy to try the +PlusBar Chia Chocolate!!! the chocolate protein bars look good. +PlusBar Chia Chocolate sounds delicious! I would like to try the protein chocolate! I love the +PlusBar Energy Natural bars so much, if I could I would have it everyday. 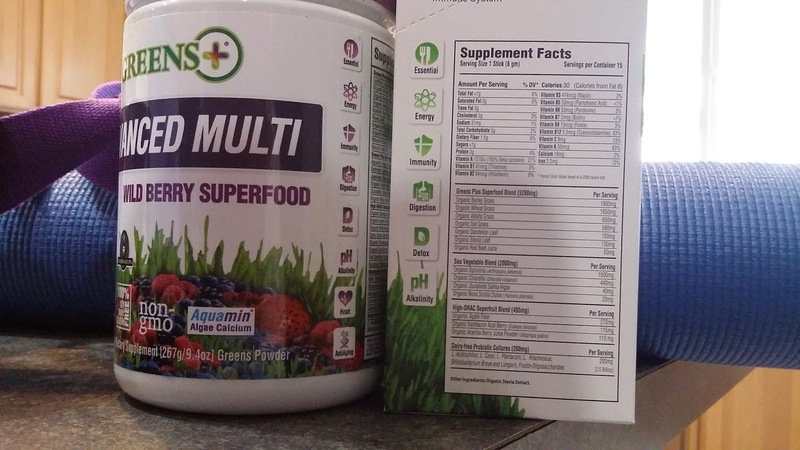 I would like to try the Greens Plus Advanced Multi Wild Berry Superfood. I would love to try the chocolate Protein Plus Bars, I love chocolate. The Chia Natural Plus Bars sound so yummy and energizing! The Superfood Powder sounds great! I would also like to try the +PlusBar Energy Chocolate. I would enjoy the +PlusBar Chia Natural. I would love to try the Chocolate Protein bars. Another item I would like to try is the +PlusBar Superfood Chia Crisp. I love green juices and the Superfood Powder sounds great! I would really love to try the chocolate bars. The +PlusBar Chocolate Peanut Butter Chia Crisp sounds delicious! I would like to try the Greens Plus - Superfood Chia Crisp Flavor Original Flavor. I would also like to try the +PlusBar Chocolate Peanut Butter Chia Crisp. Yum! The PlusBar Protein Chocolate looks great! I want to try their Advanced Multi Wild Berry Superfood Powder and their PlusBar Energy Chocolate. Enjoying more superfoods is my 2016 resolution so the Superfood Powder sounds great! Would also like to try the +PlusBar Energy Chocolate. +PlusBar Coffee Almond Chia Crisp would be really wonderful to try.